Charlie Hebdo timeline: All the major events in the Paris terrorist attack, manhunt, and hostage situation. A lot has happened (and continues to happen) over the last three days in Paris. Here is a timeline of the key moments in the Charlie Hebdo attacks, the manhunt for the shooters, and the hostage standoffs that occured in France. Wednesday Jan. 7, 11:30 a.m. CET: Two masked gunmen attack the Paris offices of satirical French magazine Charlie Hebdo. The attack leaves 11 dead and at least 11 wounded. The victims include many of the magazine’s leading staffers and a police officer who was assigned to protect the publication after it had received threats and been firebombed for publishing images of the Muslim Prophet Mohammed. During their escape the suspects kill a 12th victim, a Muslim police officer named Ahmed Merabet. In an online video (since removed), the Guardian reports a wounded Merabet can be seen holding his hands up and responding, “it’s okay, chief” to the suspects, before one of them shoots him in the head at point blank range. The gunmen crash their escape vehicle, but highjack another car and get away. 12:30 p.m. CET: French president Francois Hollande visits the scene of the attack, labeling it as terrorism and act of “barbarism.” France goes on its highest terror alert level. Within an hour and a half, the hashtag #jesuischarlie begins to trend on Twitter. 5:30 p.m. CET: Crowds gather in France’s Place de la République, eventually reaching thousands of protesters. Many hold up pens and pencils in solidarity with the slain journalists. Similar crowds gather in cities across Europe, including London, Barcelona, and Brussels. 8:00 p.m. CET: Francois Hollande again addresses France, declaring a day of national mourning. Overnight, multiple mosques around the country are attacked. No one is reported injured or killed. 8:30 p.m. CET: Police identify three suspects as French brothers Said and Cherif Kouachi, and 18-year-old Hamyd Mourad. One of the brothers was convicted in 2008 for planning to join Jihadists in Iraq. He said during his trial that he was motivated by the photos of prisoner abuses by American soldiers at Abu Ghraib. 10:00 p.m. CET: Unconfirmed and later retracted reports emerge from police sources that at least two suspects had been taken into custody. 11:00 p.m. CET: The youngest suspect, Hamyd Mourad, turns himself into authorities. Police conduct a manhunt centered in the northeastern city of Reims. Thursday Jan. 8, pre-dawn: A police officer is shot and killed during a traffic stop in Paris, and another victim of the shooting is in critical condition. It’s not clear if the shooting is related to the attack on Charlie Hebdo. 10:30 a.m. CET: The Kouachi brothers rob a gas station in the northern French town of Villers-Cotterêts, reportedly armed with Kalashnikovs and rocket-propelled grenade launchers. They steal food and gas, but no one is hurt in the robbery. 12:00 p.m. CET: France holds a moment of silence for the victims of the attacks. In the afternoon, Charlie Hebdo announces it will publish the following Wednesday as scheduled. 6:00 p.m. CET: A major road is closed and law enforcement operations are seen in the village of Longpont, near where the gas station robbery took place. 8:00 p.m. CET: The Eiffel Tower goes dark to honor the victims of the attack. The two main suspects are still at large. Later in the evening, anonymous officials say that Said Kouachi trained with al-Qaida in Yemen. 10:00 a.m. CET: Police reportedly enter into hostage negotiations with the suspects. 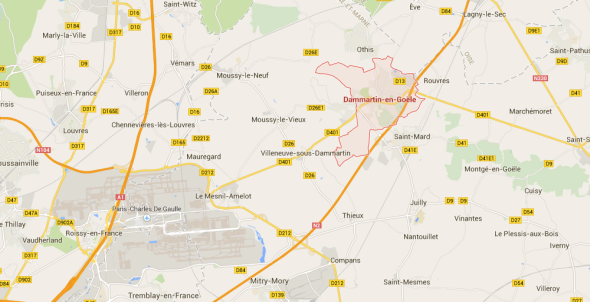 Schoolchildren in Dammartin-en-Goele are told to stay inside. Reports emerge that the stand-off is occurring at a printing business. There are contradictory reports about casualties. 12:45 p.m. CET: The AFP reports that an at-large suspect in the killing of the French policewoman has been linked to the Charlie Hebdo attackers. 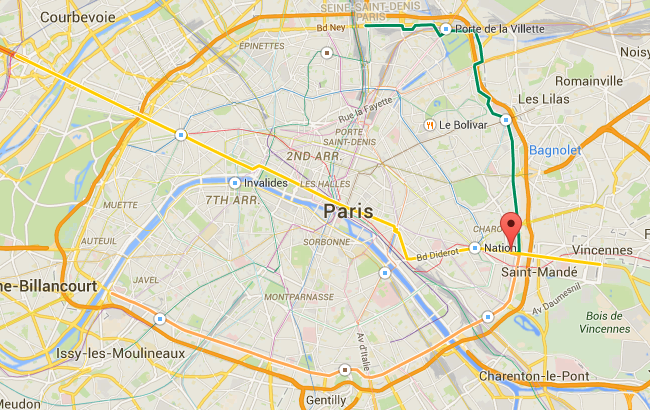 1:30 p.m. CET: Reports of a second shooting and hostage situation—this one on the edge of Paris—emerge. The second siege is in a Kosher grocery store called Hyper Cacher at Porte de Vincennes on the outskirts of Paris. At least five hostages are reported to have been taken, but there are conflicting reports as to whether any have been killed. 3:00 p.m. CET: Police release photos and names of the suspects in connection with Thursday’s police officer shooting as Amedy Coulibaly and Hayat Boumeddiene. Coulibaly is alleged to be the hostage taker at the Kosher grocery store. 4:00 p.m. CET: Paris police order businesses in the historic Jewish neighborhood of Le Marais to close for the day. The Guardian releases a profile of Coulibaly, the suspect in the grocery store kidnapping. He had allegedly met one of the suspects in the Charlie Hebdo attacks, Chérif Kouachi, when they were both in prison. 5:00 p.m. CET: Gunshots and explosions are reported in Dammartin-en-Goele, where the suspects in the Charlie Hebdo attack are reportedly holding a hostage. 5:10 p.m. CET: Reports emerged that counter-terrorism police have launched an assault on the printing business in Dammartin-en-Goele. 5:15 p.m. CET: Gunshots and explosions are reported at the kosher grocery store where Coulibaly is suspected to be holding hostages. 5:30 p.m. CET: Media outlets report that the Kouachi brothers have been killed, and the one hostage that the Kouachi brothers were holding has been freed. 5:45 p.m. CET: Media report that Coulibaly, the alleged hostage-taker at the Kosher grocery store, has also been killed. 6:15 p.m. CET: Video of the police assault on the grocery store emerges. French outlets report that two officers are wounded in the assault and that five hostages and a baby have escaped. 6:22 p.m. CET: The Associated Press reports that at least four people at the grocery store, including the kidnapper, have been killed. BREAKING: Police officials: At least 4 dead, including gunman, in Paris kosher grocery hostage crisis. 8:30 p.m. CET: France’s interior minister, Bernard Cazeneuve, confirmed that at least four hostages had been killed in the attack on the grocery store, in addition to the gunman.